The wide vertical routing on the Premier Cairo design door adds that detail you are looking for. The 15mm chamfered edges and deep grooves make this design suited to light and dark finishes. Premier Cairo drawer fronts start from £2.10. 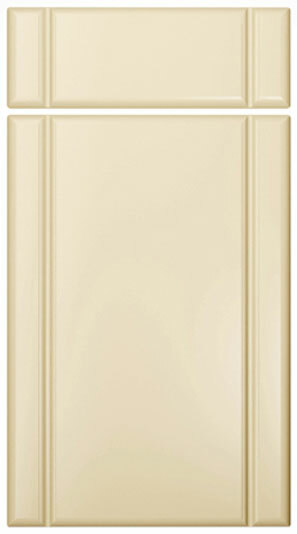 Click the button to purchase a Sample Premier Cairo design kitchen door. The Premier Cairo design is available in ALL non-gloss finishes. The Premier Cairo design is available in ALL high gloss finishes. Please Note: The Premier Cairo design is NOT available in any high gloss finishes.